Gas will be exceeded by renewable energy worldwide until 2016, reaching almost a quarter of the planet’s power supply by 2018, by 2016 it will exceed that from gas and be the twice of that of nuclear plants. It has already exceeded overall consumption of electricity in China by 2012. Broadcasted on Wednesday, this year’s second Medium-Term Renewable Energy Market Report anticipates that alternative power will rise by 40% in the coming 5 years, although the economic context has seen better days. Renewable energy is by now the quickest-growing power producing sector and will be in 2018 at 25% of global supply exceeding with approximate 5% the ratio from 2011. Thus, the portion of non-hydro sources like geothermal or bioenergy, wind and solar energy will be doubled by 2018, reaching 8%, up from 4% by in 2011, and half that in 2006. 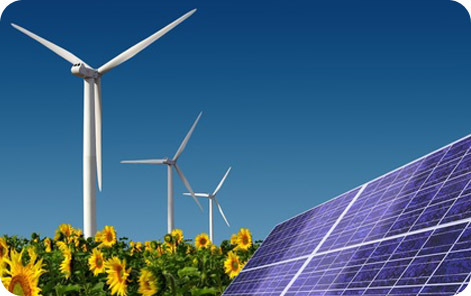 This report, however warns that renewable energy growth is evolving in complexity and presents challenges, such as an increasing discussion regarding the expenses of renewable sustenance policies in various European countries who are affected by a stagnate economy and energy request. There are two positive factors that sustain optimism: First of all, acceleration has been observed at the coming-out markets in investment and placement, where renewable energy is helping to approach the rapid increase of energy demand, the variation on energy producers and local pollution responsibilities. Second, along with hydropower, geothermal and bioenergy, solar energy is drawing attention in markets with high billing prices, like those produced by oil-fired energy. Plus the fact that photovoltaic energy production can be a lower expense than one centralized supplier.